This year, we decided to try a different recipe for the gingerbread house. Previous years have been a little hit and miss whether it would stay up or not. I really wanted a house to stay the christmas distance. After some internet browsing we settled on the Paul Hollywood recipe found on the saga website. Nice straightforward recipe. The main differences for me was that the syrups were a measured amount (my previous recipe was spoonfuls of syrup which is why I believe my results have not been consistent) and the ingredients are put together by bread crumbing the dry ingredients and then adding the wet. This gave me quite a soft dough but after resting it in the fridge for the recommended time it firmed up nicely. Pros – What I liked about this recipe was that the dough rolled out nicely and after baking there was hardly any spreading of the mixture. The shapes stayed true which made putting the house together much easier. The house stayed up for days and days, even once we started to nibble at bits of it. Cons – The downside was, no offcuts – caused in the past by the spreading and then the need to trim 😉 The other big difference for us was (I felt) it simply wasn’t as tasty as my previous houses. The gingerbread had a much drier texture, more biscuity and wasn’t particularly well flavoured. It’s tricky to know which way I will go next year as it was lovely to have a house look fab for so long but I missed the flavour of old faithful. Anyway, enjoy the pics. As always, decorated with royal icing and a selection of sweets and treats. Finally got around to adding Instagram to my life, just as i was getting away from facebook! Anyway, do really like the simplicity of adding a few pics and a few words. Definitely keeping it simple. Finally completed this beast. It ended up just over 5 foot square. Made with a 4mm hook and style craft special dk yarn. I estimate the cost in the end was around £40. I started my blanket utilising the remnants of my stash which kept costs down too as I didn’t have to actually find any cash to make a start on this. What I love about making blankets like these is that you can buy yarn very much ball by ball so it never feels like an expensive project. I didn’t plan my colours particularly. I was inspired by the duck egg blue, denim blue, vintage peach, and the buttermilk yellow. I enjoyed adding colours inspired by the previous row. You can of course plan your colours in advance for a blanket like this. Helen Shrimpton’s website, where the pattern lives (for free, happy days) has suggestions and yarn packs that can be purchased if that is more your thing 🙂 I do enjoy adding colours as I go along though. Never fully sure what she will end up looking like. Anyway, do check out Crystals and Crochet for all the pattern links as well as video tutorials. September has arrived very swiftly it seems this year. Thankfully though it appears to be at it’s best so far with cooler nights for sleeping comfort and warm days with a fresh breeze. Its my husbands favourite month of the year and its easy to see why. I am looking forward to making crochet blankets. They are not the thing to make in the summer especially one as hot as we have had this year. I started a little while back but am pleased to report that my Cosmic Cal 2018 is well on the way, with part 1 completed. The pattern is wonderful and free from Helen Shrimpton at Crystals and Crochet. I have been following the videos but the written pattern is free to all and can be found on the website easily in UK and US terms. As ever, I am using my go to yarn, Stylecraft Special DK. Cheap, reliable and many colours to choose from. You can’t go wrong with this yarn. Colours chosen from my yarn stash. I am trying to not go shopping at Woolwarehouse!!! I have also been experimenting with Instagram. My daughter has been honing her drawing skills over the last year and it has been truly inspirational to see how she has progressed. She felt that I should be using Instagram so that I can get an instant “hit” of likes that should inspire me to create more. She was right, as with all things social media, it is very addictive! I have enjoyed being able to upload a speedy picture. Ok, so the best laid plans and all that jazz. So, in my defence, this summer has been very, very long and not exactly lending itself to making things out of yarn or hot ovens. In the last week, I have managed to pull a little crochet and cleaning mojo out of the bag. Crochet books and magazines have all been neatly stacked, crochet hooks sorted and two projects started. The Cosmic Cal by Helen Shrimpton and a simple linen stitch baby blanket, aimed at using up my 3 balls of Stylecraft Special DK Mushroom. This yarn has sat in my stash for the best part of a year now. I keep picking it up starting something and then feeling that it’s not quite right. It is a lovely colour but can’t quite make up my mind if it goes well with anything other than itself. The Cosmic Cal is also being made in my leftover Stylecraft Special DK yarn. I am trying very very hard not to buy more yarn until this is well on the way to being gone. Looking forward to getting grip going forward! Looking around for things that inspire me this week has been a challenge. The weather has been glorious here for a few weeks now, this has led to very little in the way of productiveness!! I’m sure I am not the only one. They are a teensy bit fiddly to make but so very worth it. Do have a look online, there are lots of different ones to make and plenty of helpful tutorials. The yarn I have used is as ever is my go to favourite of Stylecraft Special DK. This project is the perfect stash buster for those oddments of yarn that are too big to throw away but too small to make anything useful. YAY – Found a great blog, jensalittleloopy.com that has a handy selection of crochet advent items to inspire you. On an absolutely not crochet related or baking related note, I saw these adorable cacti in Urban outfitters. Loooooooove them. Well, I missed blogging last week due to our computer throwing a tantrum and refusing to do anything useful. Even shutting it down proved tricky. Anyway, hubby spent some time putting it in recovery mode and hey presto, we are back in business. This teeny tiny crochet project came about as a request from a friend who was expecting. “Please can you make me a crochet cord tie” , she said . Errrrrrrr, not sure, let me look into that!!!! On googling it appears that crochet cord ties are a thing for those who would like to tie babies cord with something other than a plastic clip. Looks much softer for little ones. She sent me a picture of the sort of thing she would like. Looks straightforward enough to make but what should I use to make it and how can we make sure it is clean for baby. Decided cotton would work well and the Mummy to be took charge making sure it was washed and then popped in the freezer to keep it sterile till the big day. Looking online for ideas on how to make these, the basic idea is two small crochet motifs, one on each end of a crochet cord that is around 30cm in length. I found a few articles online to help me make this item and gave the new Mum to be strict instructions on how to use it as well as the recommendation that they check with their midwife too. Have look at this one on Simply Crochet. Beautiful Tribe have an article on how they approached this. Etsy have loads for sale but if you are even a beginner crocheter, this is really straightforward to make. The motif we went for was a heart. Attic 24 have a lovely pattern for teeny tiny hearts that were the size for my cotton yarn and a 4mm hook. The hearts were about 4cm across and the tie measure in at 30cm. It took me all of about 15 minutes to make this including the faffing about trying to find a tape measure! This weeks project instalment is a very cute amigurumi sheep. On hunting for something to make using a couple of balls of Sirdar Snowflake that I had picked up in a sale. I found this glorious blog, The Friendly Red Fox full of wonderful things to crochet. 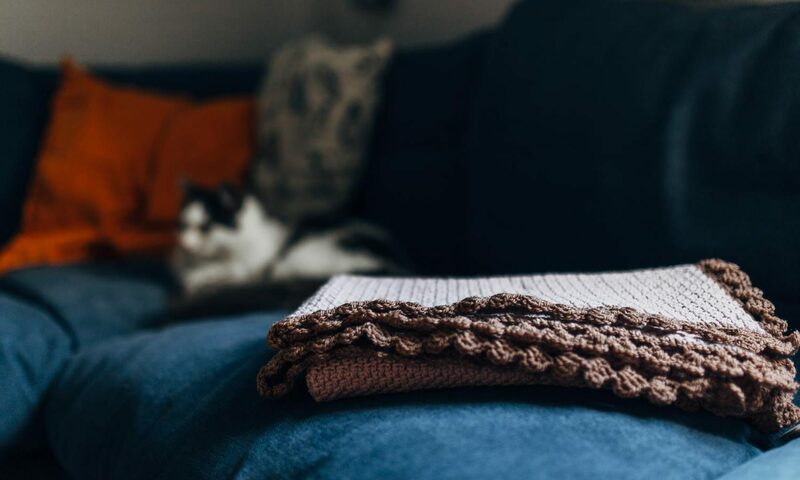 Kali, the blogger has filled her site with loads of free patterns as well as handy tips and tricks for the beginner as well as those of us who have been crocheting for a little while. She has a soft spot for all things amigurumi, I suspect I will be making a few more of her creations. Definitely be adding this blog to my useful resource page!! Overall this project took me around 8 hours to make. It most certainly is something that could be made over a weekend, although I enjoyed making bits of this over the course of a week. For those of you who haven’t discovered Aperol. According to wikipedia Aperol is an Italian apéritif made of, gentian, rhubarb, and cinchona, among other ingredients. You mix this with Prosecco and soda for a delicious cocktail. It goes down beautifully with olives or salty nibbly things. The recipe, such as it is, for an Aperol Cocktail is helpfully on the back of the label. Simply, 3 parts Prosecco, 2 parts Aperol and 1 part soda water. Top off with a slice of orange or pink grapefruit, sit down in the early evening sun and enjoy. If you like a gin and tonic, then I would think you will like this. The Aperol adds a slight bitterness to the sweetness of the Prosecco. Its a lovely summery drink that is the most amazing shade of orange 🙂 Reminds me a bit of Irn Bru!! Week 11 – this week has become a rather useful resource page! Week 11 – a weekly challenge is proving to be more of a challenge than I can manage!!! So here I am, 11 weeks into this challenge I set myself with no make or bake achieved this week. Not the plan for this blog. However, as we all know life can get on the busy side. I have been busy spending time with my offspring. Mainly the youngest who popped home Wednesday evening for a long weekend home. We have tackled lots of very important issues over tea and pastries, including but not limited to – what colour sofa should we get next? whats for dinner? and is it ok to have a nap now? Really important stuff. We did also discuss this blog and things that we could incorporate into it and so it was decided that this week I could write about things I would like to make and do and take the opportunity to point you all at some of the wonderful blogs and websites out there that I use for inspiration. Moogly – this is pretty much my top go to blog for crochet inspiration. Tamara Kelly is the lady behind this work. Its a great site full of top 10 patterns for various things. Lots and lots of free patterns. It is an American site so generally using US terms for crochet patterns. Attic 24 – love this site, particularly for colour inspiration and stitch choices. She has beautifully clear instructions. Her blankets are a thing of beauty and kits can be bought too. Ravelry – this is a fabulous resource that I’m sure most of you have come across before. Lots of free patterns as well as paid for patterns. Etsy – again another that most are familiar with. I have used this particularly to buy patterns for baby shoes as well as slippers. There are tons of free patterns out there but sometimes you need the security of a tried and tested pattern. With paying for a pattern you often get the support of the designer as well. Two girls patterns are a huge favourite and really great for responding to questions too. Den Dennis – a designer from the Netherlands. The Amigurumi patterns on this site are a mixture of free and paid for and also a mixture of languages. Although a lot of the patterns are available in English. Do try some of the free patterns to get an idea of he puts his patterns together. You can buy patterns on Ravelry and Etsy too though. Great value patterns, easy to follow and consistently good results. All about Ami – another great site for amigurumi, household items and clothes to make. Her site is a treat for the eyes too, I may have a go at making her gorgeous cardigan in the Autumn. Its all in a nutshell – Esther runs this marvellously generous, fab site full of wonderful ideas and superb video tutorials. Lots of CALS (crochet alongs) to be inspired by. The Friendly Red Fox – my latest find and love, full of free patterns and super tutorials. A must if you love Amigurumi. BBC good food – this site is so easy to use. You can search by ingredient, recipe or keyword. Because it is such a reliable site and utilises so many chefs works, you can pretty much use just this site. Nigella – not a lot I can say here really is there. I do prefer her sweet recipes with the Christmas recipes being used year on year. The Great British Bake Off – every year since this cooking programme started there has been a companion book. I have bought almost all of them. You can however get hold of many of the popular recipes on their site direct. My Stem Ginger cookie recipe came from the first Bake Off Book and is consistently my most viewed recipe.